In recent months, a number of independent media sites, including Natural News, have been hit with censorship of their content from some of the largest search engines, social media sites and advertisers. Now, the site has taken action to ensure that its many bloggers aren’t caught up in the same kind of censorship punishment. 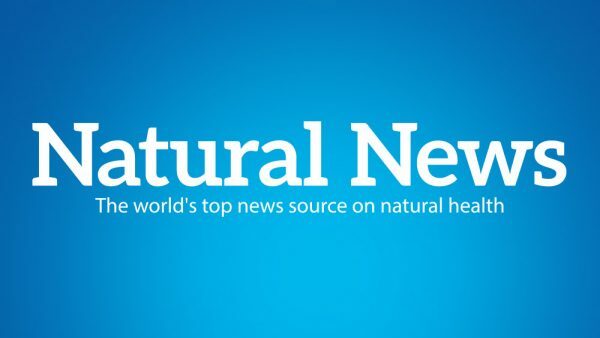 Natural News has launched NaturalNewsBlogs.com, a standalone site that provides a free-speech platform for writers and bloggers who are interested in a variety of topics, including natural and alternative health, fitness, organic food, politics, science and technology, and other topics of interest to a wide range of readers. The site receives a tremendous amount of publicity from the NaturalNews.com home page, as well as a daily email newsletter, posts on social media like Facebook, Share.NaturalNews.com, Google Plus and others. Posts are evaluated daily by the Natural News editorial staff, and the ones believed to be particularly valuable to the home site readers are featured in the daily newsletter, giving authors and bloggers additional exposure to hundreds of thousands of active readers. And while there are no special requirements or restrictions to the number of blogs you can post, there is a minimum word requirement of 350. Making NaturalNewsBlogs.com its own standalone site became necessary after Natural News was temporarily censored recently by Google. For several days, none of Natural News’ 140,000-plus stories were accessible through a standard Google search. The reason supplied was that a few blog posts contained forbidden advertising, though they were a few years old, and only found on the blogs subdomain, not the NaturalNews.com root domain. For the record, there was never any allegation or evidence that Natural News had intentionally violated Google’s webmaster guidelines. While Google said we were being flagged for a so-called “sneaky mobile redirect” on a very small number of pages in a subdomain (blogs.naturalnews.com) which were created by outside bloggers, Google went to the extraordinary step of banning the entire NaturalNews.com root domain and all its subdomains — a step that would never have been applied to CNN, Huffington Post or other popular news websites. In fact, a Natural News investigation showed that violations identified involving websites like HuffPo, Forbes and CNN did not result in the same kind of blacklisting that was applied to Natural News. Furthermore, while Google did make an effort to provide us with one URL that they said flagged this mobile redirect, to date there hasn’t been a single SEO expert or engineer who could reproduce the supposed redirect issue. AdRoll, the online advertiser that accused Breitbart of “hate speech,” is now abruptly cutting ties with Infowars.com in an apparent, concentrated effort to shut down political speech by conservatives and libertarians online. The cancellation came after the company sent Infowars’ legal department a vaguely-worded email stating it was ending its ad campaign, in part, because “all political content should focus on the merits of the candidate,” which was an implication corrupt political establishment candidates like former Democratic presidential nominee Hillary Clinton should be praised, while her various scandals should be glossed over or ignored outright. Because of these attempts at censorship, NaturalNewsBlogs.com has become its own entity to better serve our readers and provide our bloggers with an accessible platform not subject to arbitrary punishment by Alt-Left social media sites and advertisers.